My work mainly deals with how light, colour and technology can have an affect on our ability to process memories. I often wonder if we are becoming increasingly reliant on photographs and videos as a way of remembering events in our lives. It is as if what we see through computer scenes and televisions is becoming our actual memory’s experience and not what we have witnessed in person. 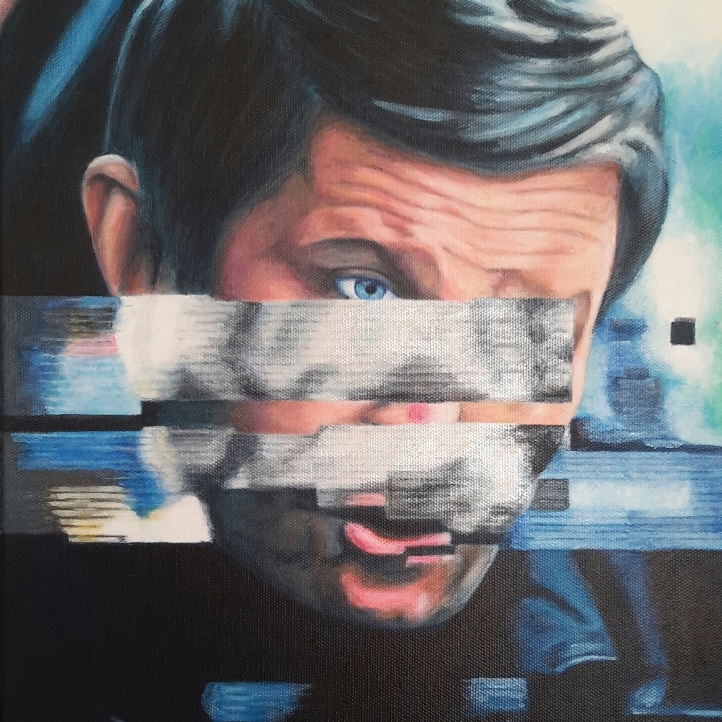 I see the glitches in my paintings as a representation of the potential disparity caused by trying to capture too many of life’s events through technology and not with our own eyes. Each painting starts from using a photograph I have taken as a reference point, then altering the image, trying to incorporate a glitch until I feel I have a good enough image to work with. I then start to paint the image on canvas, changing elements that I see fit, until I reach a piece of work I am happy with. I have just recently been selected as one of 25 shortlisted artists for the Ashurst Emerging Arts Prize 2017. I have exhibited locally and in London. Last year I was part of Leyden Gallery, London, Platform for Emerging Arts #10. I also had a painting on display for dot-art Gallery’s Liverpool Collection, which ran from November 2016 to January 2017.